Heikki has been doing quite well, but Trulli has had lots of reliability problems. If i remember correctly , Trulli's car completed only the first race without problems. But that doesn't take anything away from the fact that Heikki has been doing very well in the Lotus. Yes, better car would give Heikki, and Jarno, good chance to even more show crafmanship in racing. Of the two, Heikki certainly has done that already even this early on season. 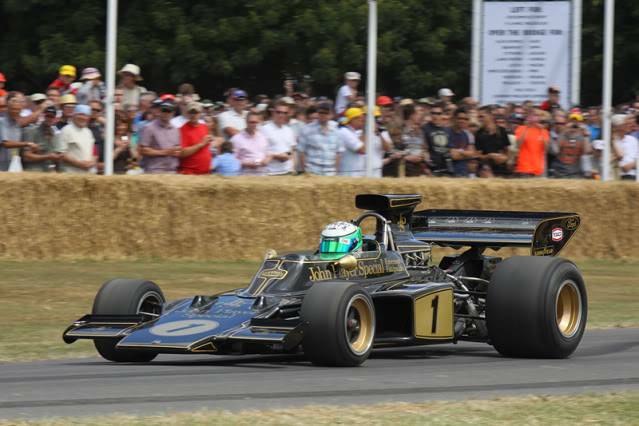 Heikki, you look absolutely fabulous in my favorite F1 JPS Lotus. What does the future hold for Heikki? He seemed to do well at Renault, shame he couldnt join Kuby. Kovy vs Petrov, I would probably have put my money on Kovy. - Kovalainen to Renault, Petrov to Lotus with Renault engines. There ya go.....Renault big wigs do consider my opinions!!!!! Heikki got a Nokia N8 from his boss Tony Fernandes on his birthday. Seems like Heikki has now moved away from the Iphone. Belated Birthday wishes Heikki . Very nice job at China 2011 Heikki! "I told you guys", at he follows our site. He deserves a better car... no doubt. 6 - 0 for Heikki against Jarno who is qualifying specialist! Thank you for a wonderful season. You deserve a much faster car. Good luck in 2012, Heikki. Heikki was my favourite driver when M.Schumacher ended his career but he didnt show anything of his driving skils. I think that if he wasnt in one team with hamilton when he was driving for mclaren he would be better driver now. Williams, Sauber, Force India, along those lines. Williams!!!!! He is a good fit there I think. Heikki is steady driver, no crashes, no troubles, sweet 16-18th on a line. Rus-Evo a écrit: Williams!!!!! He is a good fit there I think.